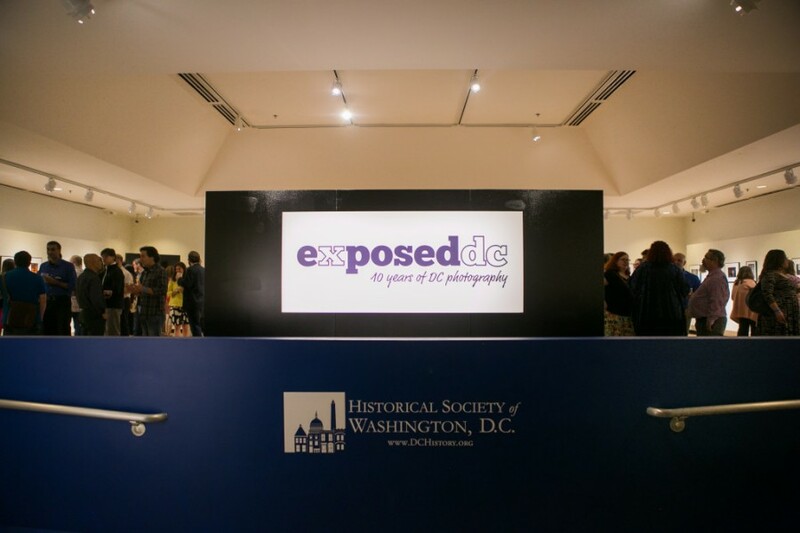 Exposed DC Celebrates 10 Years! 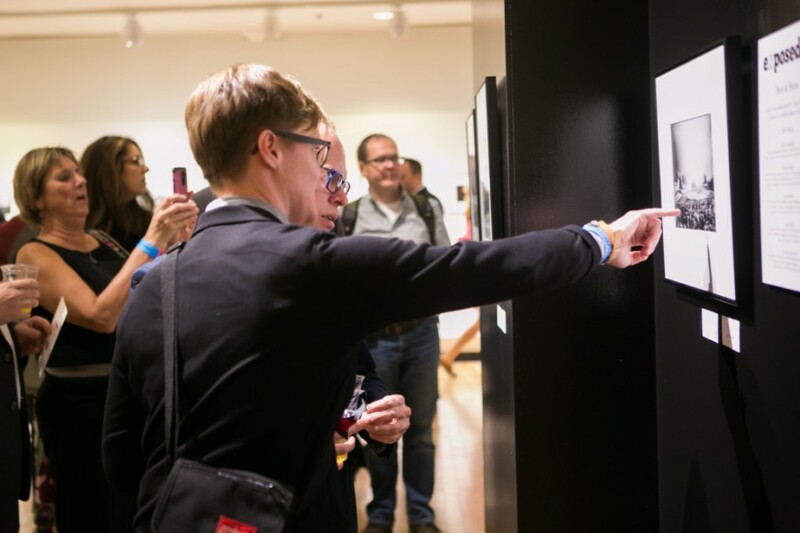 Inspecting Kevin Wolf's Best in Show winning photo. The ballroom at the Carnegie Library. 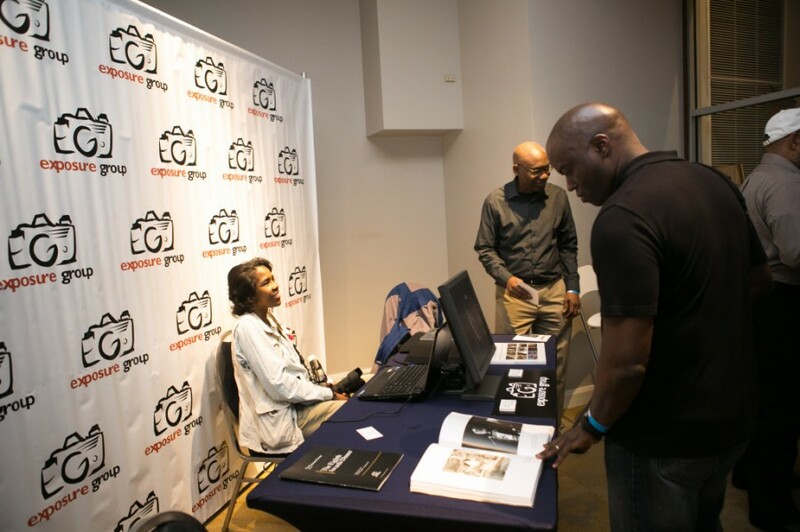 The Exposure Group African American Professional Photographers had a nice selection of their members work. 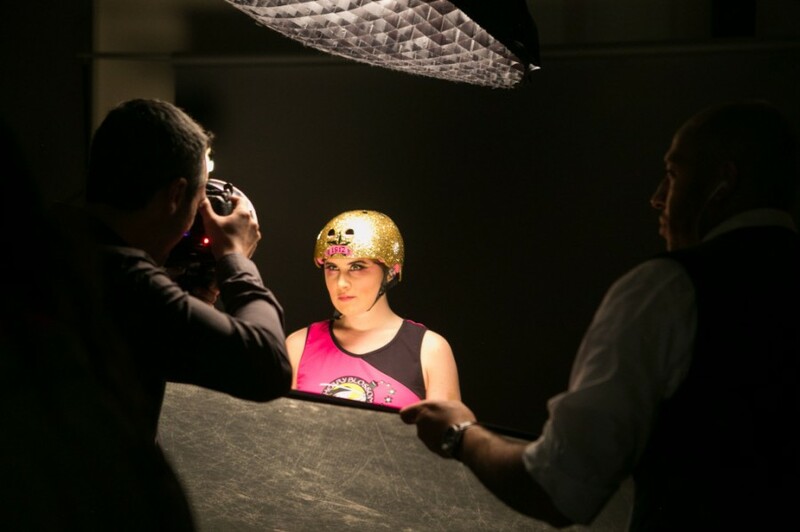 APA|DC did an impressive live photoshoot with the DC Roller Girls. Photographers from IGDC show off the portraits they took at the reception. 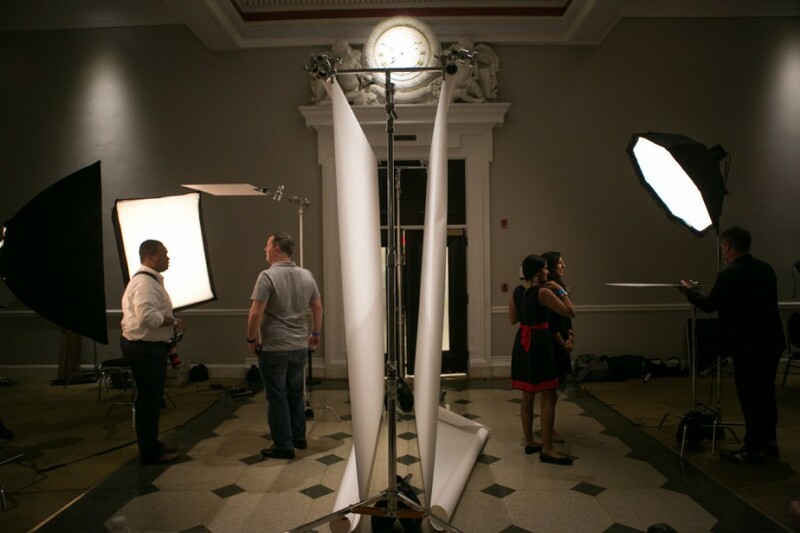 HOIST provided studio equipment for IGDC to do live comparison photos. See them at @IGDCatExpDC on Instagram. Get a copy of our 10th anniversary edition photobook. 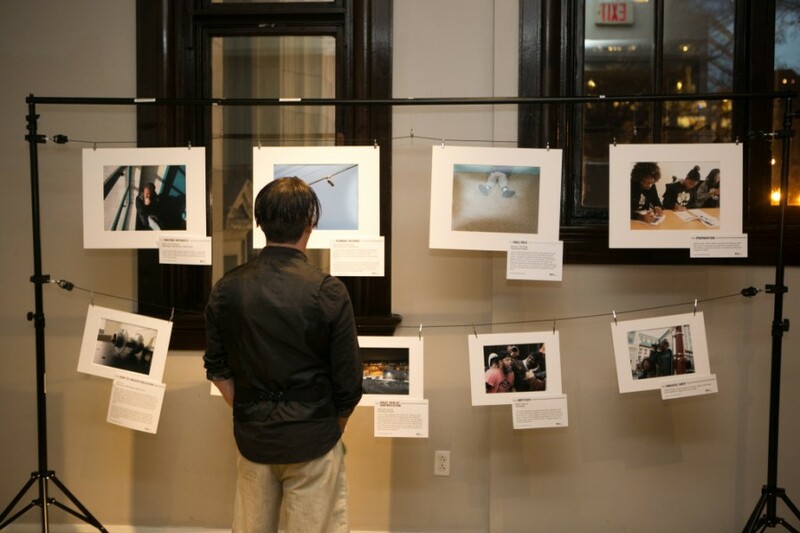 Critical Exposure showed off examples of advocacy work by their youth photographers. 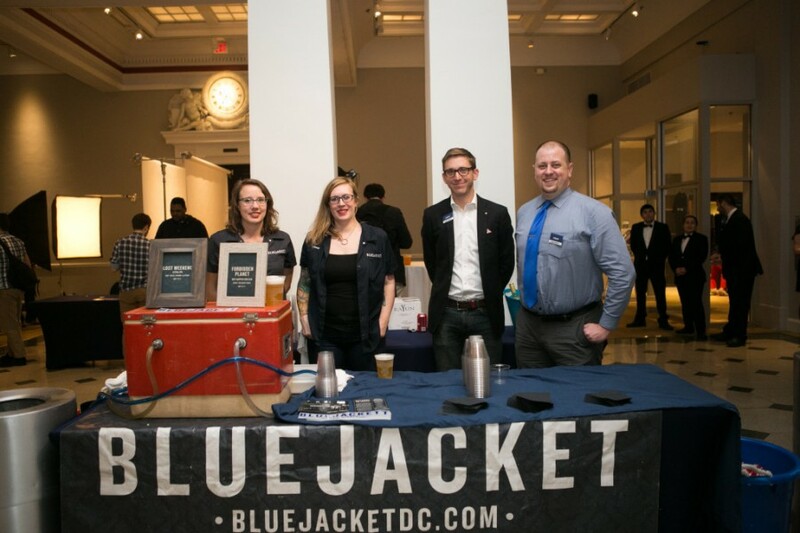 Bluejacket Brewery provided fantastic craft beer at our open bar, while a couple of our many Exposed DC volunteers, Robb Hohmann and Mike Grass, poured wine. How could you NOT take a selfie in front of this gorgeous building? What a wonderful way to spend our 10th birthday! 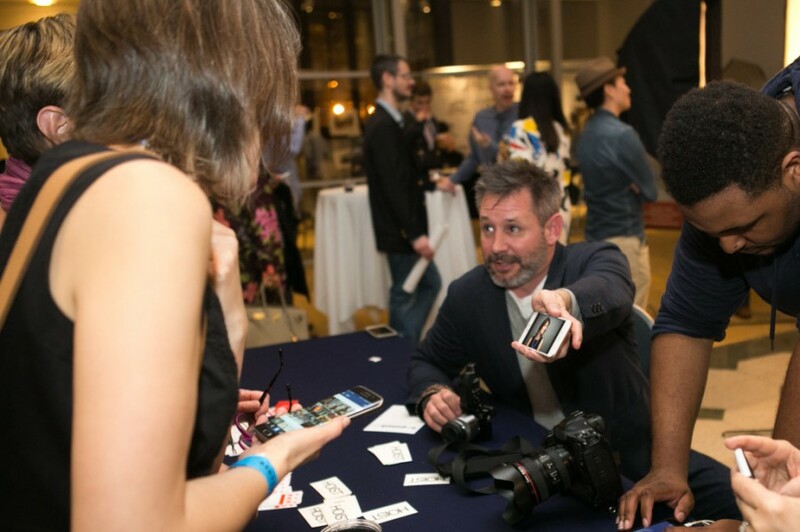 Our team had a great time meeting so many of you at the Exposed DC Photography Show last night, and we hope you all enjoyed yourselves immensely. 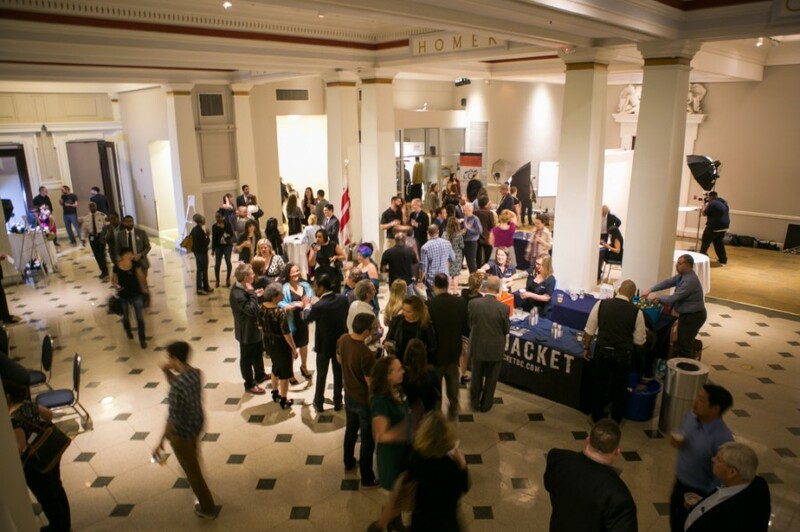 We want to thank the Historical Society of Washington, D.C. for being such wonderful hosts and allowing us to throw our exhibit in such a special building at the Carnegie Library. Remember you can see the exhibit tonight until 8pm, and this Saturday from 10am-4pm. Then the exhibit will be open Monday-Thursday, 10am-4pm, and Fridays, 10am-8pm, through Friday, March 25. 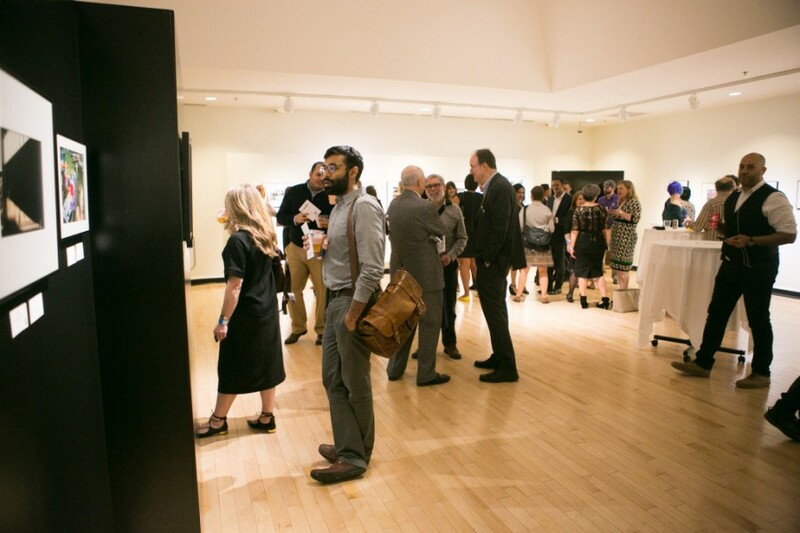 Here’s a small gallery of photos from the event by Kristen Finn; we’ll be posting more later this weekend. Thank you to Bluejacket Brewery for providing the wonderful craft beers at our bar, as they have for the last few years. Our photography partners had great stuff for everyone last night: APA|DC showed off how you do a live commercial photoshoot with some DC Rollergirls, from the make-up to the editing; Capital Photography Center told us what makes a great photo during Critiques in a Flash; IGDC and HOIST Studio did a really fun photo booth (you can see all the images at @IGDCatExpDC on Instagram); The Exposure Group African American Photographers Association exhibited some of their members work; Critical Exposure had a display of the advocacy images taken by their youth photographers; and Leica DC had some of their impressive cameras on hand. DJ Neville C provided some great tuns in the Library’s impressive L’Enfant Map Room, and Basecamp provided excellent printing services as always. We also want to thank the dozens of volunteers who helped us pull off such a big event. Lastly, thanks to all the photographers who keep sharing their phenomenal work with us. We look forward to another 10 years of enjoying it and putting it on display for even more people to enjoy. 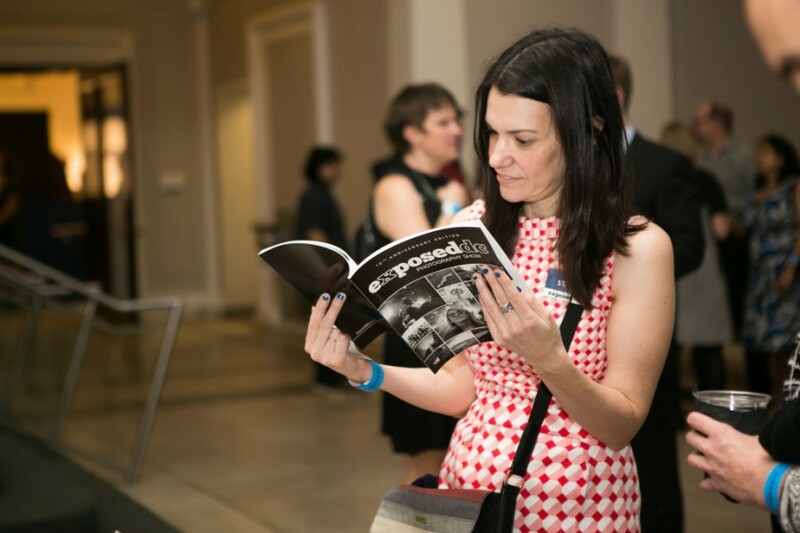 Remember you can buy any of the photos in the exhibition online here or by using the QR at the gallery, and you can get our 10th anniversary special edition photo book at the gallery this Saturday, or during evening hours on March 18 and 25, or at Magcloud, and sweet Exposed DC t-shirts here.